Track and field competed at the NCAA Division III Indoor Championships with four All-American finishes and one national champion. For many athletes, competing in college is the fulfillment of a lifelong dream. Yet many UChicago athletes choose to step away from their sports in college. The Maroons buried Grinnell College behind an offensive barrage, sweeping the weekend doubleheader. Softball competes into two back-to-back games against Kalamazoo, winning the first and dropping the second. Women's Lacrosse starts their official conference season with two dominating wins against North Central College and St. Mary's College. Track and Field competes at the Wheaton Invitational with stellar results for individuals on the distance team. The top-ranked men's tennis team swept through the Illinois Institute of Technology lineup to improve their record to 12-1. During their annual spring training trips, Maroons represent UChicago across the globe. Various UChicago teams traveled all over the country and, even, to Iceland over spring break for games and training trips. Globe Trotting or Globe Running: Can Student-Athletes Study Abroad? Student-athletes at the University balance athletic and academic commitments during study abroad programs. Third-year wrestler Kyle Peisker placed fifth and first-year wrestler Ben Sarasin placed seventh at the NCAA DIII Championships to nab two All-American honors. This weekend, women's lacrosse won two back-to-back games against Albion and Kalamazoo. 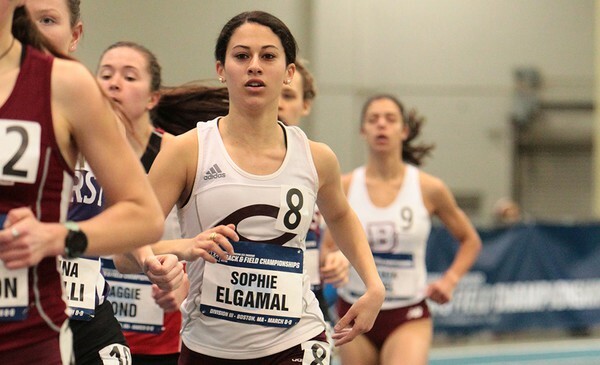 As the indoor track and field season approaches an end, the Maroons impressed at the Carthage Final Qualifier Meet with many individuals placing. The team now waits to see who officially qualified for the NCAA Division III National Championships. Despite a canceled season debut, the UChicago baseball squad showed up ready to play as it secured two out of its three games against Transylvania. The women's basketball season came to an end following a tough loss against Oglethorpe University, however, the Maroon women still managed to achieve an impressive 19–7 record to conclude the year. The women's diving team wowed as they claimed four out of five of the top spots at the NCAA Division III Regional Championship.